Silatech and Tamweelcom signed on Monday, a partnership agreement to support Tamweelcoms strategy in targeting young Jordanian entrepreneurs. Through its partnerships with financial institutions, NGOs, businesses, and various youth-serving organizations, including educational institutions, Silatech now has microenterprise operations in 15 countries across the region. Through a strategy of extensive partnerships, seed financing and technical assistance, Silatech has raised over $35 million of co-funding for its microenterprise programs, making it the largest provider of youth-focused microenterprise services in the Middle East and North Africa. Tamweelcom is a non-profit company and is a pioneering microfinance companies in Jordan that endeavors to fight poverty and unemployment. It is wholly owned by the Noor Al-Hussein Foundation (King Hussein Foundation). More than 300,000 clients, 94% of whom are women, have received funding since Tamweelcom’s inception in 1999. 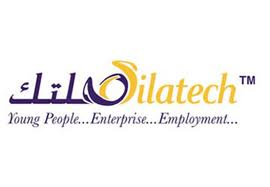 Silatech is a Qatar-based social initiative that works to create jobs and expand economic opportunities for young people throughout the Arab world. The organization promotes large-scale job creation, entrepreneurship, access to capital and markets, and participation and engagement of young people in economic and social development.